William Peterman is a registered nurse with experience in mental health, surgery, urology, drug research and critical care. Peterman holds a Bachelor of Science degree in nursing and also has a Master of Business Administration. His articles on health and nutrition have appeared on various online publications. 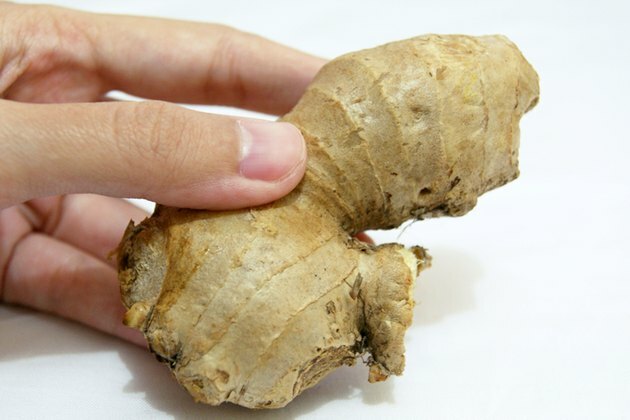 Ginger root is used to treat digestive disorders, inflammatory conditions and many other ailments, notes the University of Maryland Medical Center. Ginger root has warming and invigorating properties, which makes it an excellent cleanser for the skin and face. In fact, ginger stimulates the skin, increases the blood flow and provides a warming effect when used to clean the skin. Mix the ginger with other ingredients when you want to use it as a facial or skin cleanser. Peel and grate 2 tbsp. of fresh ginger root into a small bowl. Add 3 tbsp. 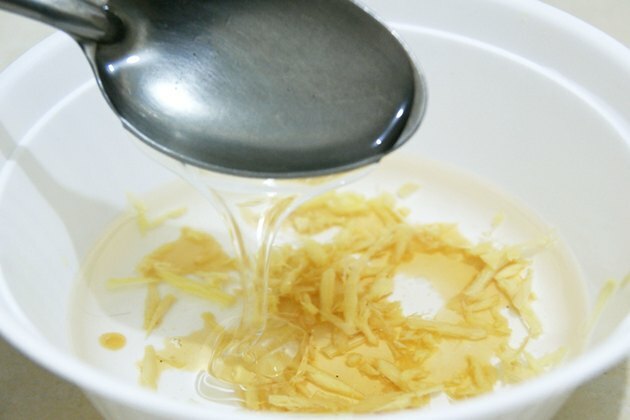 of honey to the grated ginger. Homestead.org states that honey has healing properties for skin, reduces inflammation and helps shed dead skin cells. It is has antiseptic properties and makes an excellent addition to a ginger root facial cleanser. 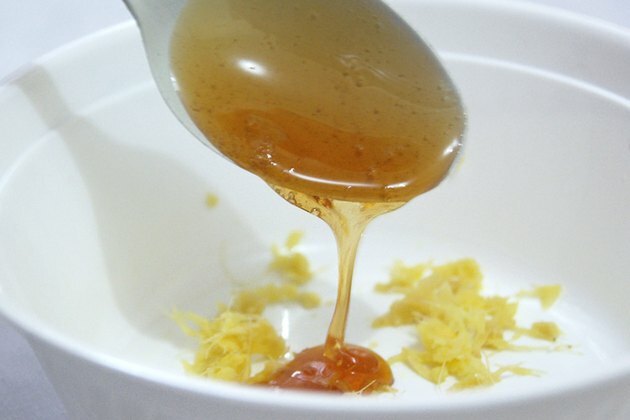 Honey also moisturizes skin and is commonly used in acne facial cleansers. 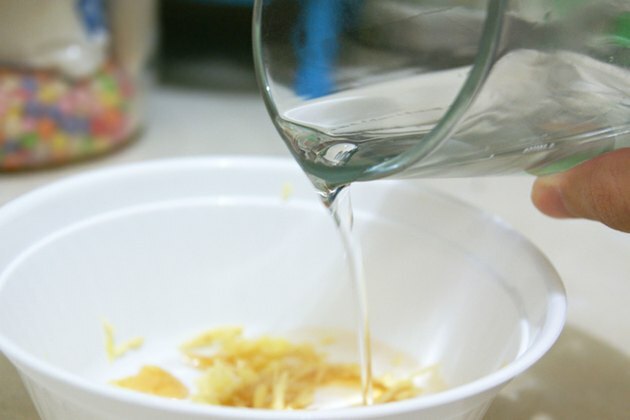 Pour 1/2 cup of vegetable glycerin into the ginger and honey mixture. According to Journeyforever.org, glycerin moisturizes the skin and is a natural emollient. It is frequently used in facial and body soaps, creams and lotions. Measure out 2 tbsp. of liquid castile soap and put it into the ginger mixture. Stir the mixture together and pour it into a container or bottle that seals tightly. Pour 1/2 tsp. of the mixture into the palm of your hand and add a few drops of water, rubbing your hands together. Gently rub your face or skin with the soap, rinse off with warm water and pat dry. Keep the cleanser away from your eyes as the ginger may cause irritation. 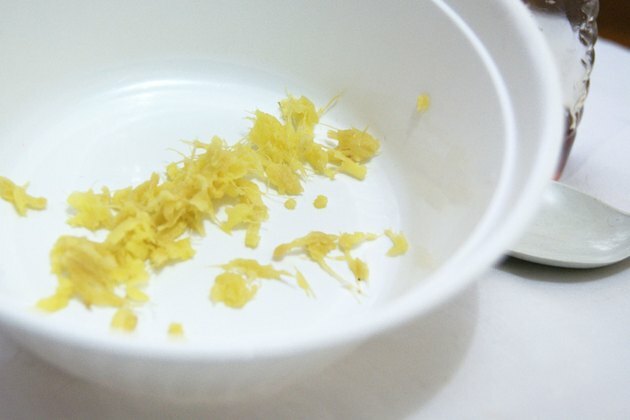 Make small batches in order to keep ginger soap fresh. 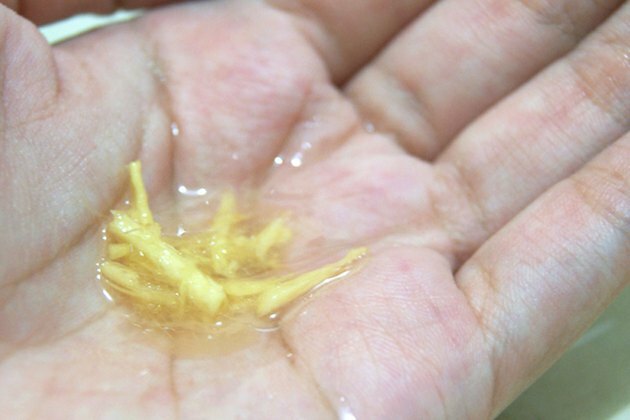 Store ginger root soap in the refrigerator to keep it fresh. Ginger oil can be used topically for painful joints or as an aromatherapy agent to treat cold and flu symptoms. If you have an allergic reaction or develop skin irritation, discontinue using this soap.